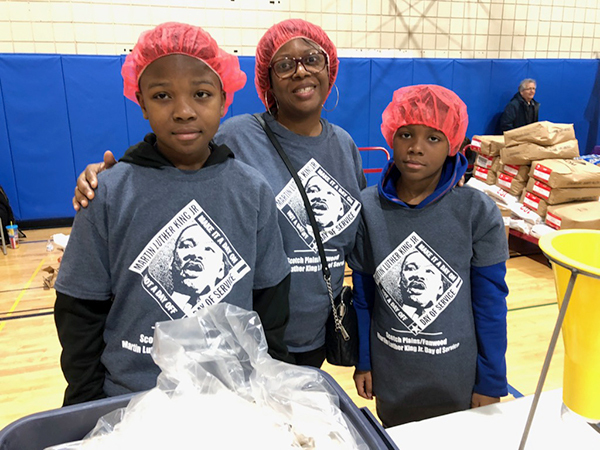 The Fanwood Scotch Plains Martin Luther King Day of Service was held on January 21st, 2019. Led by a planning committee made up of several community members, numerous events were held at various locations throughout Fanwood and Scotch Plains including JCC of Central NJ, Goddard School, Fanwood Presbyterian Church, St. John’s Baptist Church, Willow Grove Presbyterian Church, Temple Sholom, All Saints Episcopal Church and the YMCA. 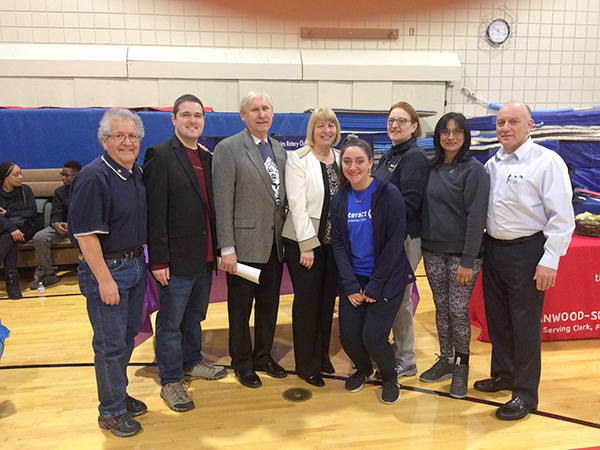 (above) The Fanwood Scotch Plains Rotary Club sponsored ‘Rise Against Hunger’ which is driven by the vision of a world without hunger. Their mission is to end hunger in our lifetime by providing food and life-changing aid to the world’s most vulnerable. Volunteers packed 10,000 meals in an assembly-line of highly nutritious dehydrated meals comprised of rice, soy, vegetables, and 23 essential vitamins and minerals. 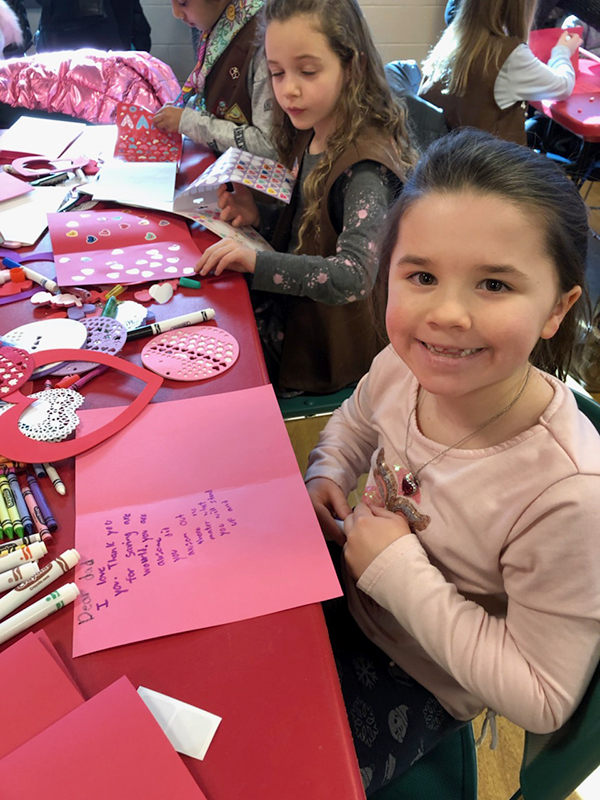 (above) Brownie Troop 40782 made Valentines for Veterans. 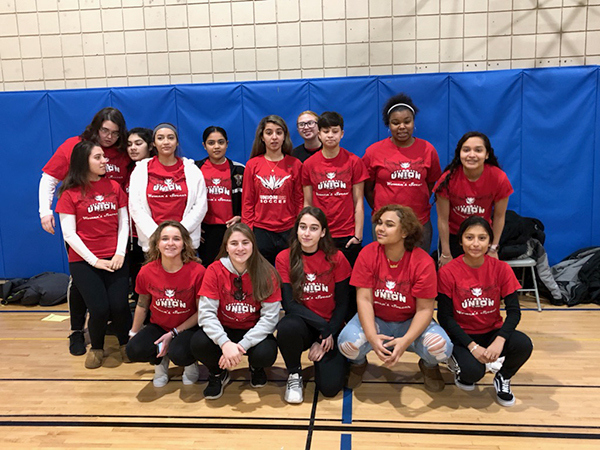 (above) The Union County College Soccer Club volunteered for the ‘Rise Against Hunger’ meal packing effort held at the YMCA. 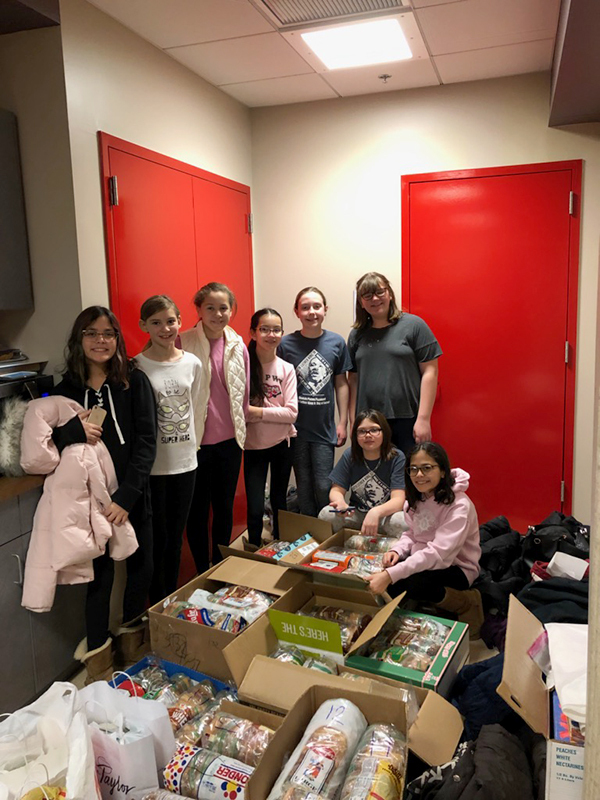 (above) Girl Scout Troop 40091, 6th graders from Terrill Middle School, made about 1,000 sandwiches which were distributed to several area soup kitchens. Members of the community donated the items to make the meat and cheese sandwiches.